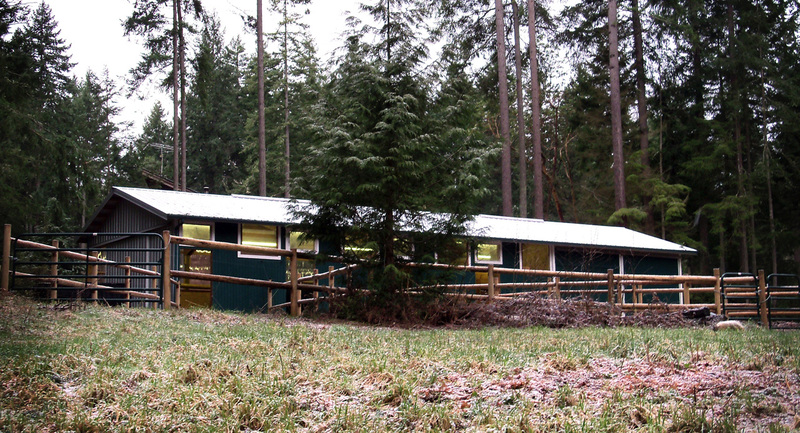 Parkside is a private boutique barn adjacent to Vashon Island’s premier public equestrian facility, Paradise Ridge Horse Park. Parkside was constructed thoughtfully with the horse’s needs in mind. 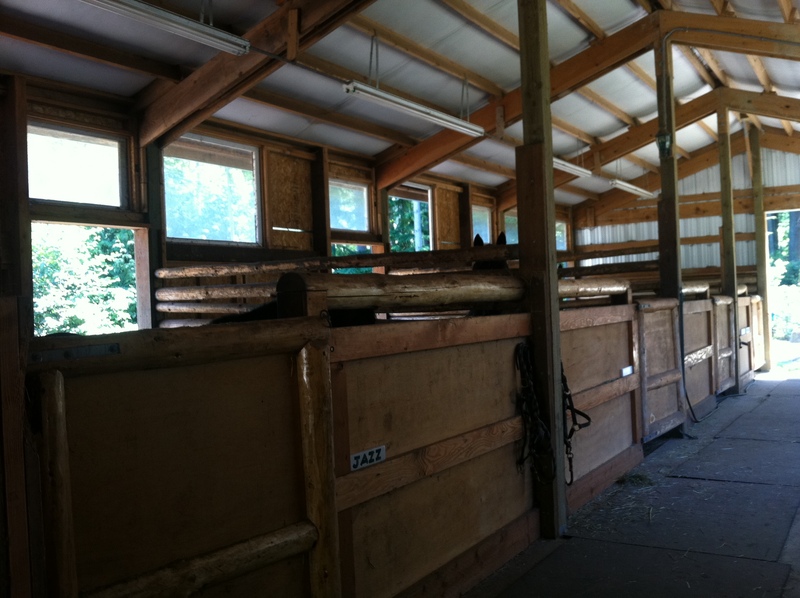 We offer excellent lighting and ventilation, with mud free runs attached to generous, airy 12×12 box stalls where horses can visit and feel comfortable. There is seasonal grass turnout, and access to miles and miles of hacking trails. For humans we offer extra large private walk-in tack lockers with radiant floor heating, and a full restroom with hot water. On site we have an all weather sand arena with jumps, and our bridle trail attaches to Paradise Ridge Horse Park’s wooded Cross-Country course, just a two minute hack to the Full-Court covered arena, as well as two other large arena’s, a roundpen, and stadium and cross-country jumps. 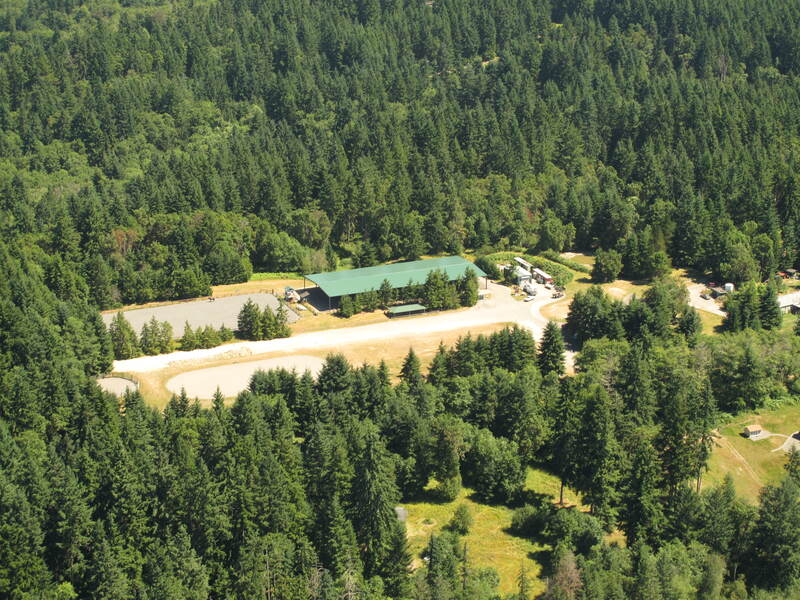 Paradise Ridge is free and open to the public year round, it does not charge user fees. During the summer local groups host frequent schooling shows for the riding community.